Still using spreadsheets to stay on top of preventive maintenance, work orders, your equipment and spare parts. Guess what? You’re not alone. Based on our analysis around 45% of the industries are still using manual methods to track preventive maintenance and work order manual methods such us excel sheets or even paper based manual maintenance methods. Our analytics result shows 75% of the people are searching for a Cloud CMMS system to simplify and automate their current maintenance process and 90% of the decision makers are researching on Cloud CMMS to increase efficiency, tracking and managing work orders, preventive maintenance effectively. 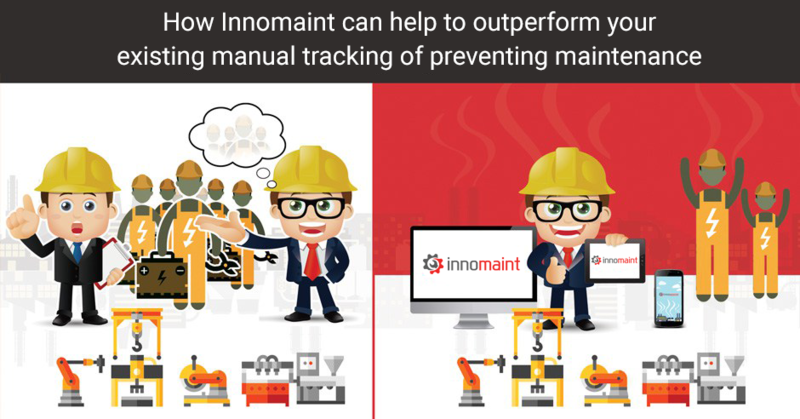 Here are some facts to enlighten you how Innomaint can outperform spreadsheets for tracking preventive maintenance, work orders, and more.